I am happy to be stop #2 on the Happiness Blog Hop, and I am happy that you are here! You should have arrived from Scrapworthy Lives (one of my new favorite blogs), or you can use the list below to follow the entire blog hop about scrapooking and happiness. To enter the giveaway from Scrapworthy Lives, be sure to comment below. You can earn one entry per blog. This means that if you visit everyone’s blog and comment on each blog, you will have 14 entries. All entries must be posted by Friday, June 3 at midnight Central Standard Time (Chicago, IL, USA). Stephanie will ship the prize anywhere in the world. The winner will be announced on Sunday, June 5 on Scrapworthy Lives. I have been thinking about happiness and scrapbooking. The Happiness Project by Gretchen Rubin talks about finding happiness in our current lives. She examines ways to be happier without radically changing your life, including making more time for the things that you love. Gretchen loves children's literature, so she makes time for multiple children's literature reading groups each month. I agree with Gretchen that it is important to find what makes you truly happy and not get caught up in what you think should make you happy. 1. I enjoy photos, both taking them and viewing them. 2. I enjoy recording and sharing stories and memories. 3. I like to get crafty and creative. 4. Many of the current trends in scrapbooking encourage us to appreciate our everyday lives. 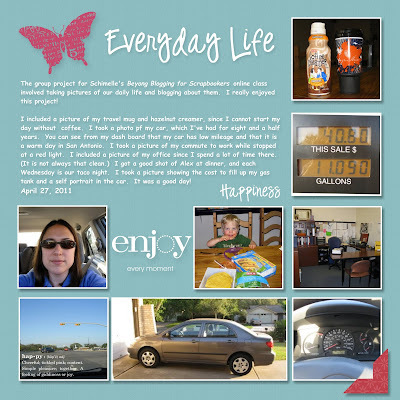 I made a digital layout for this blog hop focusing on happiness and my everyday life. I used My Digital Studio from Stampin' Up! and photos from April 27, 2011. Readers, now it is your turn. Please leave a comment below to enter the giveaway and answer one or both of my questions. 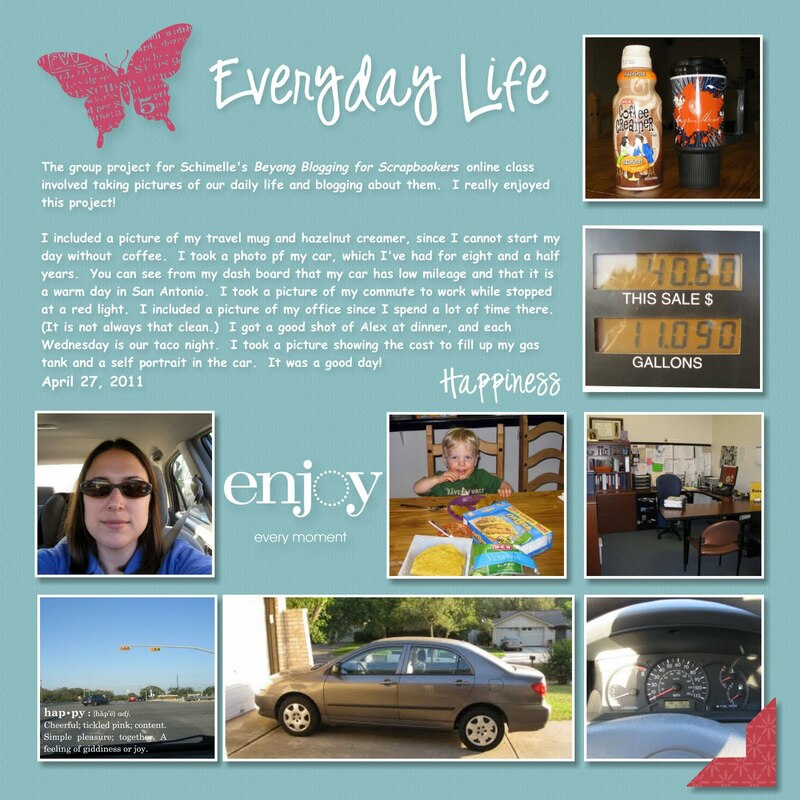 How does scrapbooking make you happy? In addition to scrapbooking (or instead of scrapbooking), does another hobby or activity bring you happiness? 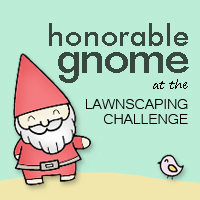 Please visit Take a Picture and Remember This to continue on the blog hop. Thank you for your kind words! I enjoyed your post and your layout. Thank you for participating in the happiness blog hop! Love your post and layout! I love documenting the everyday of life even more than the big events! Scrapbooking makes me happy because it combines my favorite things: telling stories, photography, and being creative/crafty. Scrapbooking makes me happy because it helps me record my life and because I can play with color. Love the layout! Scrapbooking makes me happy mainly just because of the whole being creative process. I love to the feel of the paper, messing around with inks, using tools, and then seeing the final product. I like your layout. scrapbooking makes me happy too.